1.9% APR for 60 months is $17.48 per $1,000 financed. 1.9% APR for 72 months is $14.71 per $1,000 financed. APR offers valid from 4/1/19-4/30/19 & is subject to credit approval – not all applicants will qualify. 730+ FICO score on approved credit. Special financing rate available up to the following maximum: 2019 UX/$30,000. 1.9% APR for 60 months is $17.48 per $1,000 financed. 1.9% APR for 72 months is $14.71 per $1,000 financed. 20% down payment required. APR offers not combinable with any other special financing rates, discounts, rebates or offers. Restrictions apply. See your Servco Lexus dealer for details or visit www.ServcoLexus.com. APR offers valid from 4/1/19-4/30/19 & is subject to credit approval – not all applicants will qualify. 730+ FICO score on approved credit. Special financing rate available up to the following maximum: 2019 ES/$37,000. 1.9% APR for 60 months is $17.48 per $1,000 financed. 1.9% APR for 72 months is $14.71 per $1,000 financed. 20% down payment required. APR offers not combinable with any other special financing rates, discounts, rebates or offers. Restrictions apply. See your Servco Lexus dealer for details or visit www.ServcoLexus.com. APR offers valid from 4/1/19-4/30/19 & is subject to credit approval – not all applicants will qualify. 730+ FICO score on approved credit. Special financing rate available up to the following maximum: 2019 ESh/$40,000. 1.9% APR for 60 months is $17.48 per $1,000 financed. 1.9% APR for 72 months is $14.71 per $1,000 financed. 20% down payment required. APR offers not combinable with any other special financing rates, discounts, rebates or offers. Restrictions apply. See your Servco Lexus dealer for details or visit www.ServcoLexus.com. APR offers valid from 4/1/19-4/30/19 & is subject to credit approval – not all applicants will qualify. 730+ FICO score on approved credit. Special financing rate available up to the following maximum: 2019 IS/$30,000. 1.9% APR for 60 months is $17.48 per $1,000 financed. 1.9% APR for 72 months is $14.71 per $1,000 financed. 20% down payment required. APR offers not combinable with any other special financing rates, discounts, rebates or offers. Restrictions apply. See your Servco Lexus dealer for details or visit www.ServcoLexus.com. APR offers valid from 4/1/19-4/30/19 & is subject to credit approval – not all applicants will qualify. 730+ FICO score on approved credit. 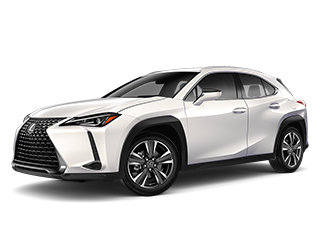 Special financing rate available up to the following maximum: 2019 NX/$30,000. 1.9% APR for 60 months is $17.48 per $1,000 financed. 1.9% APR for 72 months is $14.71 per $1,000 financed. 20% down payment required. APR offers not combinable with any other special financing rates, discounts, rebates or offers. Restrictions apply. See your Servco Lexus dealer for details or visit www.ServcoLexus.com. APR offers valid from 4/1/19-4/30/19 & is subject to credit approval – not all applicants will qualify. 730+ FICO score on approved credit. Special financing rate available up to the following maximum: 2019 NXh/$35,000. 1.9% APR for 60 months is $17.48 per $1,000 financed. 1.9% APR for 72 months is $14.71 per $1,000 financed. 20% down payment required. APR offers not combinable with any other special financing rates, discounts, rebates or offers. Restrictions apply. See your Servco Lexus dealer for details or visit www.ServcoLexus.com. APR offers valid from 4/1/19-4/30/19 & is subject to credit approval – not all applicants will qualify. 730+ FICO score on approved credit. 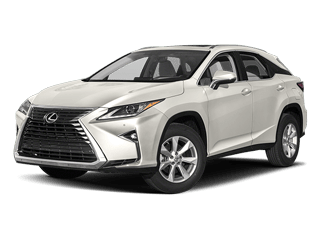 Special financing rate available up to the following maximum: 2019 RX/$40,000. 1.9% APR for 60 months is $17.48 per $1,000 financed. 1.9% APR for 72 months is $14.71 per $1,000 financed. 20% down payment required. APR offers not combinable with any other special financing rates, discounts, rebates or offers. Restrictions apply. See your Servco Lexus dealer for details or visit www.ServcoLexus.com. APR offers valid from 4/1/19-4/30/19 & is subject to credit approval – not all applicants will qualify. 730+ FICO score on approved credit. 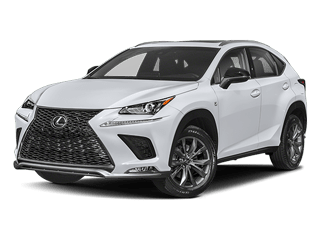 Special financing rate available up to the following maximum: 2019 RX L/$45,000. 1.9% APR for 60 months is $17.48 per $1,000 financed. 1.9% APR for 72 months is $14.71 per $1,000 financed. 20% down payment required. APR offers not combinable with any other special financing rates, discounts, rebates or offers. Restrictions apply. See your Servco Lexus dealer for details or visit www.ServcoLexus.com. APR offers valid from 4/1/19-4/30/19 & is subject to credit approval – not all applicants will qualify. 730+ FICO score on approved credit. Special financing rate available up to the following maximum: 2019 RXh/$45,000. 1.9% APR for 60 months is $17.48 per $1,000 financed. 1.9% APR for 72 months is $14.71 per $1,000 financed. 20% down payment required. APR offers not combinable with any other special financing rates, discounts, rebates or offers. Restrictions apply. See your Servco Lexus dealer for details or visit www.ServcoLexus.com. APR offers valid from 4/1/19-4/30/19 & is subject to credit approval – not all applicants will qualify. 730+ FICO score on approved credit. Special financing rate available up to the following maximum: 2019 RXhl/$50,000. 1.9% APR for 60 months is $17.48 per $1,000 financed. 1.9% APR for 72 months is $14.71 per $1,000 financed. 20% down payment required. APR offers not combinable with any other special financing rates, discounts, rebates or offers. Restrictions apply. See your Servco Lexus dealer for details or visit www.ServcoLexus.com. APR offers valid from 4/1/19-4/30/19 & is subject to credit approval – not all applicants will qualify. 730+ FICO score on approved credit. Special financing rate available up to the following maximum: 2018 GS/$40,000. 1.9% APR for 60 months is $17.48 per $1,000 financed. 1.9% APR for 72 months is $14.71 per $1,000 financed. 20% down payment required. 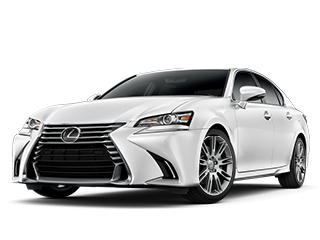 $5,000 discount offer good with purchase & delivery of any new 2018 Lexus GS. Discounts must be used towards the purchase & cannot be received as cash. APR offers not combinable with any other special financing rates, discounts, rebates or offers. Restrictions apply. See your Servco Lexus dealer for details or visit www.ServcoLexus.com. APR offers valid from 4/1/19-4/30/19 & is subject to credit approval – not all applicants will qualify. 730+ FICO score on approved credit. Special financing rate available up to the following maximum: 2019 GS/$40,000. 1.9% APR for 60 months is $17.48 per $1,000 financed. 1.9% APR for 72 months is $14.71 per $1,000 financed. 20% down payment required. APR offers not combinable with any other special financing rates, discounts, rebates or offers. Restrictions apply. See your Servco Lexus dealer for details or visit www.ServcoLexus.com. APR offers valid from 4/1/19-4/30/19 & is subject to credit approval – not all applicants will qualify. 730+ FICO score on approved credit. Special financing rate available up to the following maximum: 2019 RC/$45,000. 1.9% APR for 60 months is $17.48 per $1,000 financed. 1.9% APR for 72 months is $14.71 per $1,000 financed. 20% down payment required. APR offers not combinable with any other special financing rates, discounts, rebates or offers. Restrictions apply. See your Servco Lexus dealer for details or visit www.ServcoLexus.com. APR offers valid from 4/1/19-4/30/19 & is subject to credit approval – not all applicants will qualify. 730+ FICO score on approved credit. Special financing rate available up to the following maximum: 2018 RC/$45,000. 1.9% APR for 60 months is $17.48 per $1,000 financed. 1.9% APR for 72 months is $14.71 per $1,000 financed. 20% down payment required. 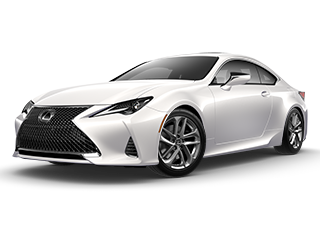 $6,000 discount offer good with purchase & delivery of any new 2018 Lexus RC. APR offers not combinable with any other special financing rates, discounts, rebates or offers. Restrictions apply. See your Servco Lexus dealer for details or visit www.ServcoLexus.com. 1.9% APR for 60 months is $17.74 per $1,000 financed. 1.9% APR for 72 months is $14.97 per $1,000 financed. APR offers valid from 4/1/19-4/30/19 & is subject to credit approval – not all applicants will qualify. 730+ FICO score on approved credit. Special financing rate available up to the following maximum: 2019 GX/$50,000. 1.9% APR for 60 months is $17.48 per $1,000 financed. 1.9% APR for 72 months is $14.71 per $1,000 financed. 20% down payment required. APR offers not combinable with any other special financing rates, discounts, rebates or offers. Restrictions apply. See your Servco Lexus dealer for details or visit www.ServcoLexus.com. APR offers valid from 4/1/19-4/30/19 & is subject to credit approval – not all applicants will qualify. 730+ FICO score on approved credit. 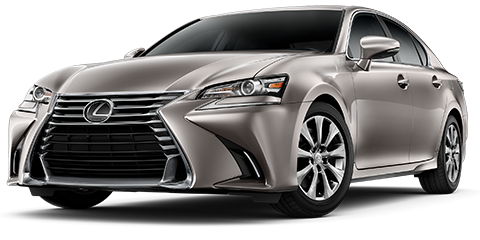 Special financing rate available up to the following maximum: 2018 LX/$88,000. 1.9% APR for 60 months is $17.48 per $1,000 financed. 1.9% APR for 72 months is $14.71 per $1,000 financed. 20% down payment required. 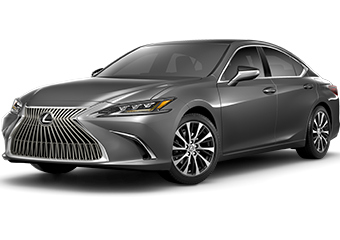 $8,000 discount offer good with purchase & delivery of any new 2018 LX. Discounts must be used towards the purchase & cannot be received as cash.APR offers not combinable with any other special financing rates, discounts, rebates or offers. Restrictions apply. See your Servco Lexus dealer for details or visit www.ServcoLexus.com. APR offers valid from 4/1/19-4/30/19 & is subject to credit approval – not all applicants will qualify. 730+ FICO score on approved credit. 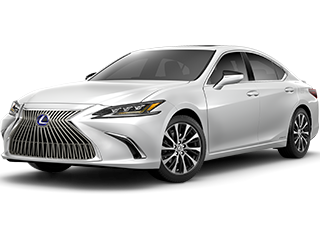 Special financing rate available up to the following maximum: 2019 LX/$88,000. 1.9% APR for 60 months is $17.48 per $1,000 financed. 1.9% APR for 72 months is $14.71 per $1,000 financed. 20% down payment required. APR offers not combinable with any other special financing rates, discounts, rebates or offers. Restrictions apply. See your Servco Lexus dealer for details or visit www.ServcoLexus.com. Tax and optional equipment are extra. Lease offers valid from 4/1/19-4/30/19. Lease payments based on a 36 month, closed end lease. 730+ FICO score on approved credit. Lessee responsible for maintenance, wear/tear and mileage charge of $.15 per mile over 10,000 miles per year. All applicable rebates applied. No security deposit required. 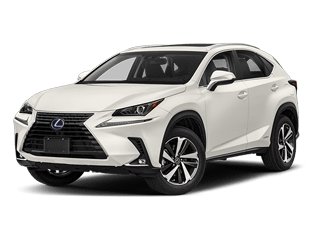 2019 UX payment based on 2019 UX 200 MSRP $34,662, lease-end value: $21,144. A total of $4,950 is due at lease inception which includes first month’s payment and a capitalized cost reduction of $4,066. Tax, and optional equipment are extra. Not combinable with any other special financing rates, discounts, rebates or any other offers. Monthly payment may vary depending on final price of vehicle and your qualifications. Vehicle may be shown with optional equipment. Restrictions apply. See your Servco Lexus dealer for details or visit www.ServcoLexus.com. Lease offers valid from 4/1/19-4/30/19. Lease payments based on a 36 month, closed end lease. 730+ FICO score on approved credit. Lessee responsible for maintenance, wear/tear and mileage charge of $.15 per mile over 10,000 miles per year. All applicable rebates applied. No security deposit required. 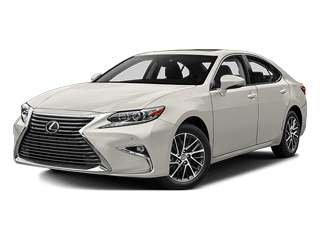 2019 ES payment based on 2019 ES 350 MSRP $40,312, lease-end value: $23,381. A total of $5,250 is due at lease inception which includes first month’s payment and a capitalized cost reduction of $4,290. Tax, and optional equipment are extra. Not combinable with any other special financing rates, discounts, rebates or any other offers. Monthly payment may vary depending on final price of vehicle and your qualifications. Vehicle may be shown with optional equipment. Restrictions apply. See your Servco Lexus dealer for details or visit www.ServcoLexus.com. Lease offers valid from 4/1/19-4/30/19. Lease payments based on a 36 month, closed end lease. 730+ FICO score on approved credit. Lessee responsible for maintenance, wear/tear and mileage charge of $.15 per mile over 10,000 miles per year. All applicable rebates applied. No security deposit required. 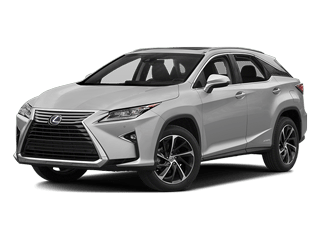 2019 RX payment based on 2019 RX 350 MSRP $45,253, lease-end value: $27,605. A total of $5,550 is due at lease inception which includes first month’s payment and a capitalized cost reduction of $4,473. Tax, and optional equipment are extra. Not combinable with any other special financing rates, discounts, rebates or any other offers. Monthly payment may vary depending on final price of vehicle and your qualifications. Vehicle may be shown with optional equipment. Restrictions apply. See your Servco Lexus dealer for details or visit www.ServcoLexus.com. Lease offers valid from 4/1/19-4/30/19. Lease payments based on a 36 month, closed end lease. 730+ FICO score on approved credit. Lessee responsible for maintenance, wear/tear and mileage charge of $.15 per mile over 10,000 miles per year. All applicable rebates applied. No security deposit required. 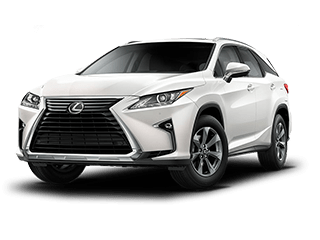 2019 RX payment based on 2019 RX 350 1919 Waialua MSRP $50,138, lease-end value: $30,585. A total of $5,675 is due at lease inception which includes first month’s payment and a capitalized cost reduction of $4,552. Tax, and optional equipment are extra. Not combinable with any other special financing rates, discounts, rebates or any other offers. Monthly payment may vary depending on final price of vehicle and your qualifications. Vehicle may be shown with optional equipment. Restrictions apply. See your Servco Lexus dealer for details or visit www.ServcoLexus.com. Lease offers valid from 4/1/19-4/30/19. Lease payments based on a 36 month, closed end lease. 730+ FICO score on approved credit. Lessee responsible for maintenance, wear/tear and mileage charge of $.15 per mile over 10,000 miles per year. All applicable rebates applied. No security deposit required. 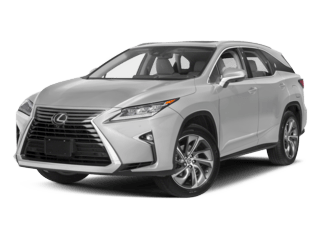 2019 RX payment based on 2019 RX 350L MSRP $48,068, lease-end value: $28,361. A total of $5,675 is due at lease inception which includes first month’s payment and a capitalized cost reduction of $4,511. Tax, and optional equipment are extra. Not combinable with any other special financing rates, discounts, rebates or any other offers. Monthly payment may vary depending on final price of vehicle and your qualifications. Vehicle may be shown with optional equipment. Restrictions apply. See your Servco Lexus dealer for details or visit www.ServcoLexus.com. Lease offers valid from 4/1/19-4/30/19. Lease payments based on a 36 month, closed end lease. 730+ FICO score on approved credit. Lessee responsible for maintenance, wear/tear and mileage charge of $.15 per mile over 10,000 miles per year. All applicable rebates applied. No security deposit required. 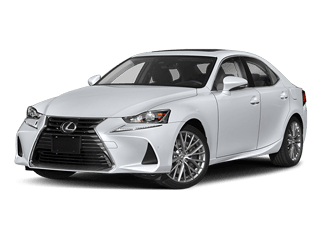 2019 GS payment based on 2019 GS 350 MSRP $51,688, lease-end value: $28,429. A total of $5,675 is due at lease inception which includes first month’s payment and a capitalized cost reduction of $4,545. Tax, and optional equipment are extra. Not combinable with any other special financing rates, discounts, rebates or any other offers. Monthly payment may vary depending on final price of vehicle and your qualifications. Vehicle may be shown with optional equipment. Restrictions apply. See your Servco Lexus dealer for details or visit www.ServcoLexus.com. Lease offers valid from 4/1/19-4/30/19. Lease payments based on a 36 month, closed end lease. 730+ FICO score on approved credit. Lessee responsible for maintenance, wear/tear and mileage charge of $.15 per mile over 10,000 miles per year. All applicable rebates applied. No security deposit required. 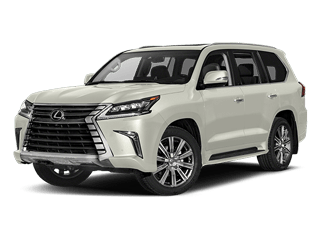 2019 GX payment based on 2019 GX 460 MSRP $55,563, lease-end value: $33,338. A total of $5,425 is due at lease inception which includes first month’s payment and a capitalized cost reduction of $4,075. Tax, and optional equipment are extra. Not combinable with any other special financing rates, discounts, rebates or any other offers. Monthly payment may vary depending on final price of vehicle and your qualifications. Vehicle may be shown with optional equipment. Restrictions apply. See your Servco Lexus dealer for details or visit www.ServcoLexus.com. Customer discount valid from 4/1/19-4/30/19. 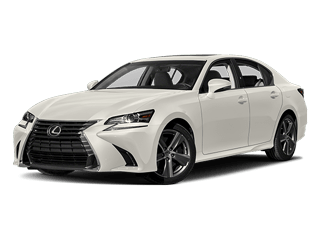 $5,000 discount offer good with purchase & delivery of any new 2018 Lexus GS. Discount must be used towards the purchase & cannot be received as cash. Restrictions apply. See your Servco Lexus dealer for details or visit www.ServcoLexus.com. Customer discount valid from 4/1/19-4/30/19. 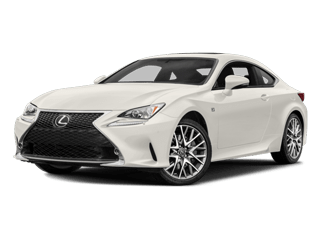 $6,000 discount offer good with purchase & delivery of any new 2018 Lexus RC. Discount must be used towards the purchase & cannot be received as cash. Restrictions apply. See your Servco Lexus dealer for details or visit www.ServcoLexus.com. Customer discount valid from 4/1/19-4/30/19. 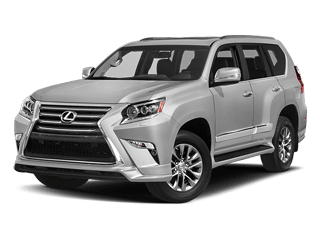 $8,000 discount offer good with purchase & delivery of any new 2018 Lexus LX. Discount must be used towards the purchase & cannot be received as cash. Restrictions apply. 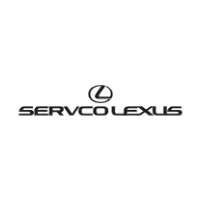 See your Servco Lexus dealer for details or visit www.ServcoLexus.com.